The School has adequate and appropriate facilities for hostel and messing. It has a well experienced staff and they are available around the clock to cater to the needs of the students. 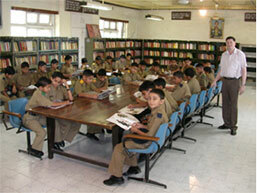 The School Library plays a vital role in grooming the overall personality of the cadets. It helps in inspiring and inculcating reading habits among the cadets. Our school library information system is fully computerized. 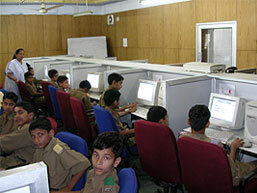 The School Library plays a vital role in grooming the overall personality of the cadets. 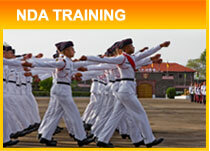 It helps in inspiring and inculcating reading habits among the cadets. Our school library information system is fully computerized. It has a total of 9100 books, 30 magzines, 15 periodicals, 100 reference books for each class and 10 daily newspapers. Average borrowing rate of non-syllabus books is 5.5 and 10 for junior and senior Classes respectively. Library of a school is the most important single factor to provide the best opportunity to the cadets to self explore their academic talents. In the changing information scenario, Information Technology is gaining importance for improving accessibility to Information. In the era of Information technology our school library has also been upgraded. Our school library is fully computerized. Beside this we are also shifting towards electronic media by making available educational CDs in the library. The school library is also subscribing several periodicals of educational and general magazines and newspapers. The school library is also helping students in preparing for NDA/PMT/IITs & other various competitive exams by providing necessary study material. The School has two well equipped and air conditioned Computer Labs where computer education is imparted to the cadets as an Elective Subject in XI and XII and as Work Experience for other classes. Smart class rooms which are installed in every class. Cadets are also taught with the help of latest audio-visual aids, LCD projectors, educational CDs, etc in the Smart Room. Copyright © 2009 Sainik School Sujanpur Tira. All rights reserved.